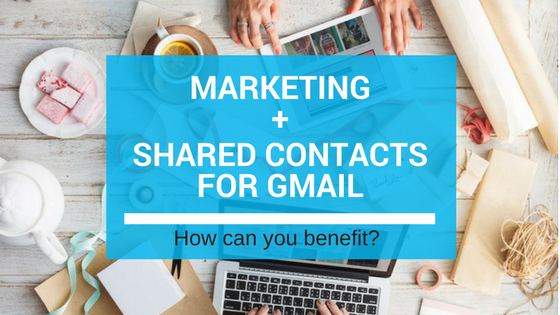 Google Contact Sharing: How can your Marketing benefit from using Shared Contacts for Gmail®? 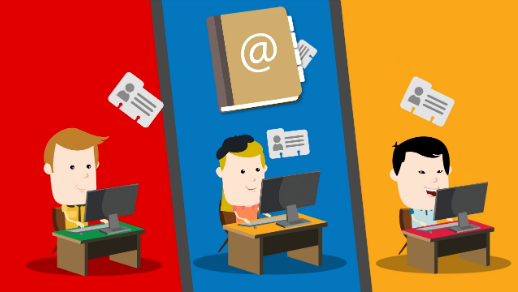 How can your Marketing benefit from using Shared Contacts for Gmail®? You can create in your Google Contact Manager, groups of contacts easily! Use contact data to create groups in advance so you can customize your marketing content before people click or visit your links. You can match the emails in your lists, to social profiles in order to segment your newest prospects. That way, you can create a tailored experience designed for each group! To build a content strategy that's relevant to your customer’s interests, you should use your existing contact data to create content that address them specifically. When trying to think of topics for your next social post or email campaign, focus on a customer-type that you have in your contact data rather than trying to speak to everyone in general . 3. Tailor your messages. Make it personal! Having contact lists, can help you personalize more of your messages by pulling in first names & key information! By collecting, collaborating and improving contact data, you'll have a valuable information to custom-tailor the communication between you and your customer. If like us, your company deals with cloud solutions, or it's simply online, chances are you have prospects all over the world. If you created contact lists with geography as a determining factor. you can find the best time to email your audience! Shared Contacts for Gmail® is the simplest solution for sharing your contact lists and collaborating on them, with any Gmail or Google Apps user, just like you share a Google Doc or a Calendar. It’s not rocket science!